We've gathered a collection of links, activities and downloadable artefacts/printables to help you implement Agile ways of working in your organisation. These resources are related to our Beyond Scrum training course. If you'd like a copy of the presentation deck from your training day or digital copies of the cards, please email training@pragma.team and we can send them to you. Download the PDF of the funnel here. Initiative card (PDF) - a tool to help guide you through Discovery and Alpha, and into Delivery. Discovery – What is the user need? Discovery is the first stage in the design and development of a new product, service, process, policy or 'thing'. The goal of Discovery is to understand the users' or customers' needs as well and the business requirements, technical requirements and context in which this new thing will exist. We've selected a few resources and PDFs that may help you in this stage. Dual track - Discovery and Development at the same time. Alpha – How might we solve it? Alpha is where you should be designing possible solutions to the user problems identified in Discovery. The idea is to design and test as many solutions as possible to help identify which solution would be most suitable. Here are some templates to help you test designs in the Alpha phase. Below are a number of artefacts and templates that will help you prepare for your Delivery phase. Some of these should be completed prior to entering delivery and others are designed to be maintained throughout. 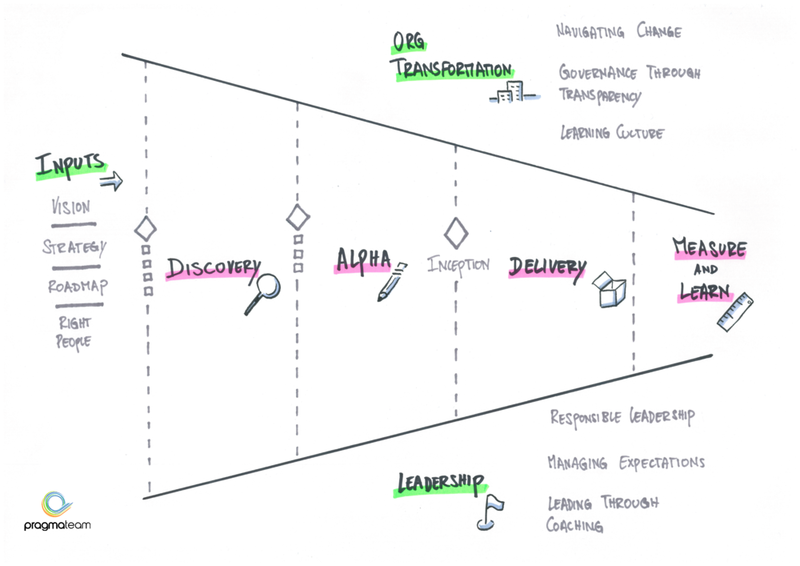 Check out our resources about the Delivery phase on our Learn about Agile page. Measure and learn – Were we successful? It's important to understand whether you have been successful in achieving what you set out to do. These things can help you do that effectively. These resources are useful for leadership in all types of organisations – whether they are Agile or not. We regularly share tips and insights via our own blog. Some of the links are above and you can view the full blog list here.